Today Brings The Annual Alumni Challenge! Your gift to the MPA Fund covers the gap between tuition and other revenue and the daily operational needs of our school. These gifts provide the foundation for continued support of our outstanding faculty, curriculum, and students. 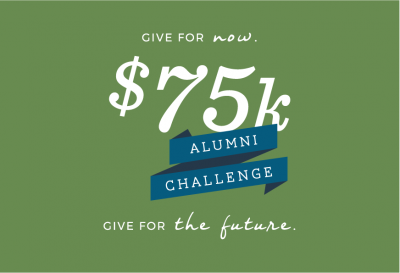 Help to give the gift of an MPA education to more students today. Your gift to Together, We Dream includes four specific projects that cannot be supported through annual giving or operations. We need your help to improve our facilities and grow our school’s endowment to support the future of MPA. We are asking you to give for now, through an annual gift to the MPA Fund, and to give for the future, in support of Together, We Dream: The Campaign for MPA. One gift in can help us to accomplish these two important goals. This is an important year in the life of our school and we call on our alumni and parents of alumni to help our students’ dreams come true. And follow along on the Alumni Association Facebook page for progress updates throughout the day! Contact Jennifer Rogers, director of development and community engagement, at jrogers@moundsparkacademy.org or 651-748-5532 with any questions or to discuss your gift.